When you think of going on vacation and the amenities that you’d like to have, what comes to mind? Is it going to the spa or sauna? You don’t have to wait for your next trip or make an appointment at your favorite spa to enjoy this treat, you can step foot into a spa at home every day with the new technology and smart features that have catapulted today’s baths from the norm to luxurious retreats that you can’t wait to indulge in each day! Still not sure how to make this a reality in your space? Whether your budget is large or small, here are few tips to show you how. It can seem like an impossible task to accurately nail down and stick to a budget for a home renovation project. Though it appears that way, it can be done. The first point to consider is how much you want to spend on the project and then add a small cushion to that to cover any extra expenses. Make that cushion your max budget and try not to exceed that. With your budget in mind, decide on the overall design aesthetic that you want to achieve, evaluate your bath space to see where that budget will make the most impact, and then create a budget plan for your project. To complete that plan, you’re going to have to do some homework. Once you’ve decided where your upgrades will be and how much you’d like to spend on each area, you can then visit various resources like vendors’ Pinterest boards and Instagram pages for design inspiration and products that appeal to your design style. Make sure to book an appointment with one of our expert sales consultants who will work with you from start to finish to make the vision and goal that you have for your bathroom a reality. As mentioned by Entrepreneurship.org, benefits – safety, ease of use, affordability, or prestige, are the reasons why customers buy products or services. Features, like Bluetooth compatibility, can communicate a product’s capability. Determining which benefits and features are important to you will put you well ahead of the game when starting your bath remodel or new construction project and will help in conveying your vision to your dedicated sales consultant. Also worth mentioning, are the wall colors and mixed textures you employ. Colors can affect your mood and emotions. Make sure to choose tones that make you smile and will assist in creating a relaxing environment for you. Mixing textures like natural stone countertops, wood flooring, wall mosaics and more are highly encouraged because they allow your personality and design aesthetic to shine through. Let’s discuss areas in your bath where you can incorporate smart technology to create your home spa retreat! Lighting obviously plays a big role in the mood and relaxation factor of a spa bath. Consider adding adjustable lighting options like the dimmer switches in the Adorne Collection by Legrand that come in innovative Touch, sofTap, and Wi-Fi ready options. When it comes to deluxe bath showers, nothing says luxury like the iSteam3 Command Center by Mr. Steam. This control system features steam, aroma, music, lighting, and safety. The Real Rain Overhead Showering Panel by Kohler mimics the experience of a summer rainstorm and is equipped with water storage that relies on gravity to shape the raindrops. See the video below. Smart flush toilets conserve water by only utilizing the right amount of water needed for a proper flush. Kohler has a number of smart flush toilets. Consider their Numi WaterSense Toilet, that meets EPA flushing guidelines, including using 20% less water than 1.6 gallon toilets. It even has an emergency flush feature that supports up to 100 flushes during a power outage! The Numi has some pretty awesome luxury features, as well, like a motion-activated open and close seat control, ambient lighting, Bluetooth technology, plus more. If you’d like to add a television in your bath, consider adding a waterproof version in your shower that is rated for bathroom or outdoor use. You may even choose to add a mirror that’s equipped with a television, like the Lighted Mirror TVs by Electric Mirror. With these tips and an expert PDI Consultant to assist, you will be well on your way to the bathroom of your dreams. 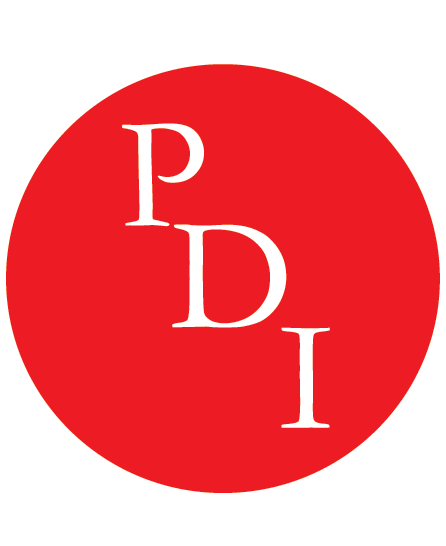 All of the products mentioned above can be purchased through PDI. Visit us on the web at relyonpdi.com for the location nearest to you and give us a call at 770.963.9231 to book your personal consultation today! We have 6 Metro Atlanta PDI Showrooms, as well as, two Kohler Signature Stores that are located in Atlanta and Alpharetta.